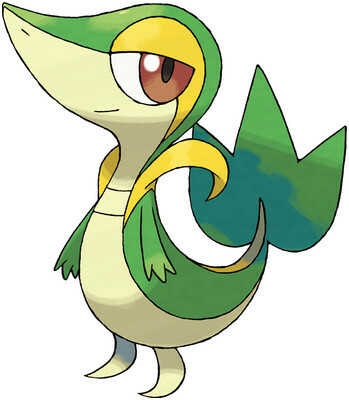 Snivy is a Grass type Pokémon introduced in Generation 5. It is known as the Grass Snake Pokémon . The effectiveness of each type on Snivy. In Generations 5-6, Snivy has a base experience yield of 28. Snivy learns the following moves in Pokémon Ultra Sun & Ultra Moon at the levels specified. Snivy learns the following moves via breeding in Pokémon Ultra Sun & Ultra Moon. Details and compatible parents can be found on the Snivy egg moves page. Snivy can only learn these moves in previous generations. It must be taught the moves in the appropriate game and then transferred to Pokémon Ultra Sun & Ultra Moon. Snivy learns the following moves in Pokémon Sun & Moon at the levels specified. Snivy learns the following moves via breeding in Pokémon Sun & Moon. Details and compatible parents can be found on the Snivy egg moves page. Snivy can only learn these moves in previous generations. It must be taught the moves in the appropriate game and then transferred to Pokémon Sun & Moon. How come Snivy is sometimes referred to as "Smugleaf"? How to get a snivy with Contrary? Ash's Snivy; in the wild?!?!? How to get a Snivy to learn Iron Tail? Wrap or Leer for my Snivy? How can I get a Contrary Snivy in Y? What is a good move for EV training a Snivy/Servine/Serperior? What are the good signs of Pokemon reproduction? Can you trade a Snivy from Black two to HG SS?